A water powered calculator is really useful especially if you have to do your math in a place where there is no sunlight. 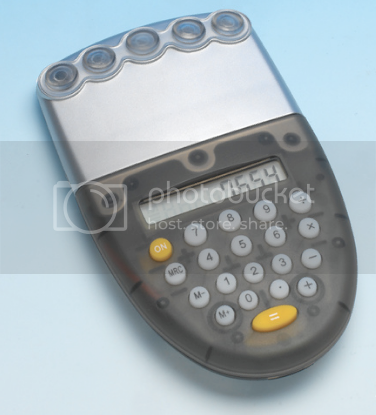 Nowadays people don’t really like battery powered calculators, most of them use solar powered ones. So here is a great alternative- a water powered calculator. This Water Powered Calculator runs by the power of hydro. All you need to do to power the device is just pour water into the rear power panel, place the stopper, and voila this little mastermind will work like a charm. The device is said to be perfectly safe and environmentally friendly. If you liked this thing you can grab one from bitsandpieces for just $8.99.